Several members of the Dragon Age: Origins team were away at GenCon Indy during my visit to Edmonton, but fortunately executive producer Mark Darrah stayed back to share his knowledge with the attendees. This is a guy who has been with BioWare for over ten years, having started out as a programmer on Baldur's Gate, so I felt pretty lucky to be able to tap into his experience. GB: I'm going to start you off actually with something a little bit unrelated, but something I wanted to get your perspective on right away. 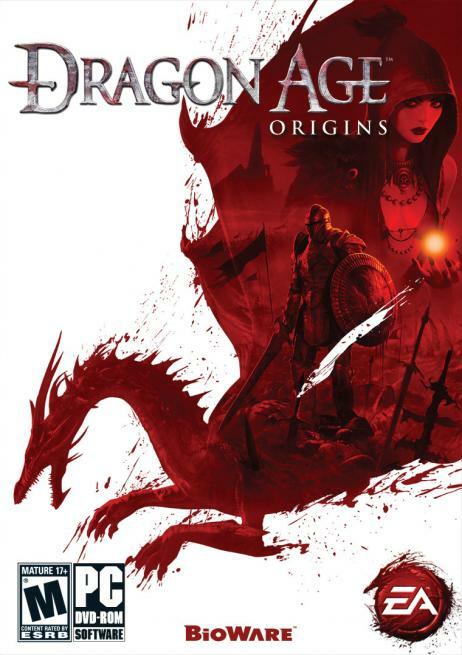 Dragon Age was originally announced for consoles earlier this year, but it was PC-only for nearly five years before that. Do you think that a stat-heavy, story-driven, AAA RPG can still be profitable if it's PC-only in this day and age? Mark: I think that the possibility exists. I think the difficulty is when you're building the amount of content, the amount of cinematics, things like that, that we do, that you have to try to appeal to as many people as you can. I think if you were tighter and more controlled in your presentation, that there's still an audience there. It would just be tough. GB: Given the current state of video games, did you feel that it was absolutely necessary to go after the console crowd? Mark: I actually think that I I think we that we could still be successful on the PC. It's just that I think we have a story that is accessible to a broader audience, and we just thought that this was a great opportunity. The interesting thing is actually Dragon Age worked on the consoles two years ago, and then we decided to focus on the PC, and then we sort of changed our minds. GB: Alright, let's go back to my regular set of questions. Are there any hidden areas in Dragon Age: Origins that you would say are kind of reminiscent of the Twisted Rune? You know, the really brutal but well-rewarding secret area in the bridge district of Athkatla, accessible only with a rogue stone? Anything sort of reminiscent of that, or even throwbacks to the BG series? Mark: Yeah. There's actually there's a couple of areas where they're secret or accessible, off the beaten path, where we're going to that very difficult, rewarding, tactical experience, like you'd get in the Baldur's Gate II. And there are a couple of areas that are artistically inspired by some of the some of the and I can't remember what the name of it was. I've been trying to think of it for a couple of days, in like a couple of our magical shops are more are very reminiscent artistically to older Baldur's Gate areas as well. GB: Really? So are any of the Dragon Age followers somewhat based on the followers that were in the Baldur's Gate series? Did you try to keep the equivalent personality of Minsc you know, anybody like that? Mark: Yeah. We do have characters with a variety of personalities, so there's no one based directly off of any previous Baldur's Gate, or previous characters, but we like to have our characters with a lot of different personalities. So I think there's for people who like someone that's more wry, more humorous there's definitely characters there for them. For people who liked Minsc, with that sort of I don't even know how to describe Minsc's personality, but with that sort of Minsc-y personality, there's people that I think they'll like in Dragon Age for sure. GB: It was mentioned during the presentations we've had that the origin stories affect certain outcomes even up to the last ten minutes of the game. If you were to play through all six origin stories all the way through to the end, what percentage would you say is different? What sort of replayability factor are we looking at? I've heard 800 hours worth of gameplay getting thrown around for this game. Is it conceivable that even a third of it is never-before-seen when you play through the game a second time? Mark: It depends some of the things are dependent on the story the choices like a lot of things are affected by your origin story and the choices you make there. Also, other things will be affected by choices you make throughout the rest of the game. So your origin story isn't the only thing that affects what content you're going to or not going to see. So conceivably, if you played through one origin story and made very specific choices, and then played through a different origin story, and then played from a different moral stance, you may see almost no similar content. But if you went through and played and made similar choices, you're going to see a lot of differences, based on your origin, because the people are going to react to elves differently than dwarves, and humans versus mages. But you're going to see more similarity if you make the same moral choices at some of the branching points in the plots in the stories. GB: Are there entire areas that are inaccessible to you if you make specific choices? Mark: Yeah. There are certain areas that are only accessible with certain characters, and depending on the choices you make, you may not actually even get some characters. That would block off entire parts of the game.